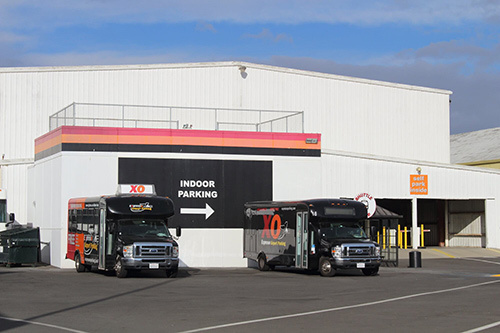 ExpressoParking.com provides travelers with the most convenient, cheapest, and safest Oakland Airport long-term parking services near the Oakland International Airport. 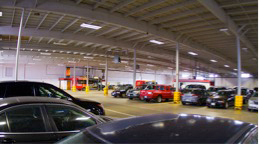 We offer self-parking, indoor parking, and valet parking services for incredibly low prices. We are open 24/7 so travelers can have convenient parking services at all times. We provide security around the clock so travelers can feel comfortable traveling at night and know that their vehicle and belongings are always safe. Used this parking company for the first time last month and everything went smoothly – great experience coming and going. My sister misplaced the ticket so they took our word for when we arrived – great customer service! Great price and positive experience – way to go Expresso! I’m using it again next week! I use expresso every time I fly out of OAK. The service is great, drivers are quick and courteous. It usually only takes 15 minutes from the time you park until you get to the airport. Make sure to check their website for a coupon to save even more money (make sure you print it)! Best quality value tradeoff of all the off airport parking at OAK. The best parking by OAK airport. Cheap $7/$9/$11 including all taxes and fees for outdoor/indoor/valet. Staff is friendly and quick. Free wi-fi while you are waiting and free muffins, coffee and tea. I LOVE Expresso Parking! I don’t park anywhere else when I fly out of Oakland. I love coming back from a long trip having my car right there when I get off the bus. Better: when I’m leaving for my trip, they have coffee, muffins and the newspaper handy to grab before I get on the bus. When I return from my trip, I’ve had my windshield dings repaired, a car wash done and I’ve also had a full detail done while I was gone. I love the service, love the convenience and love their website coupons! If you don’t want to pay high fees to leave your car at the airport this is the place to go. Place is organized and clean. Options to valet, park inside or outside. Rates are cheap and lots secured. Free shuttle to the airport 5 minutes away. Worth it and recommend it! Don’t forget to Yelp! Great place to park when flying out of Oakland, friendly staff and nice lot indoors or outdoors. Had a good experience with Expresso 🙂 Waited less than ten minutes for the shuttle to and from the airport. Drivers were friendly. Our car was still safe and clean when we arrived back from our trip. We also had no problems using our coupon for discounted indoor self parking and there was no one else in line when we went to pay so check out was quick and easy. Will use Expresso again!